Hudson's Bay has a Home Sale on now! 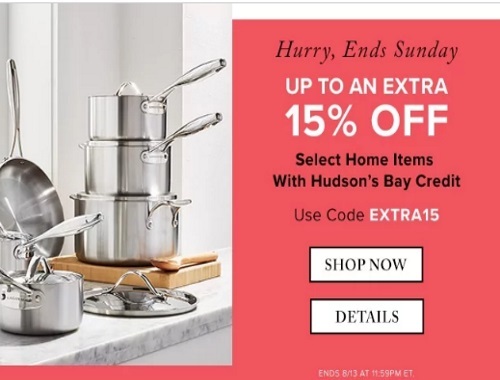 Save up to an extra 15% off select home items when you pay using your Hudson's Bay Credit! Enter the promo code EXTRA15 at checkout. Offer ends Sunday, August 13, 2017.